In a previous post, I addressed that initial struggle with anatomical terminology when beginning a course in anatomy & physiology. In this post, I'll pick up with another early--but essential--set of concepts: planes of the body. 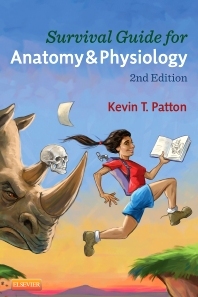 As with any concept of A&P, one shortcut to understanding is to connect the concept to something simple that you already know about. Let's see how that could work with anatomical body planes. For planes of the body, think of them as ways you could slice the body if you had a big giant saw like illusionists use to saw people in half. If you saw a person so that there is a top part and bottom part of their body, then you’ve cut along a TRANSVERSE or HORIZONTAL plane. Either term can be used. They both mean the same thing. It doesn’t have to be equal top and bottom halves . . . ANY separation of top and bottom is a cut along a transverse plane. If you saw a person into left and right pieces, you are sawing along a SAGITTAL plane. The word sagittal literally means “relating to an arrow” used in archery. So imagine shooting an arrow into an apple that is sitting on top of my head . . . and then imagine the apple falling apart into a left and right piece as the arrow slices through it. That’s a sagittal cut . . . a cut along a sagittal plane. If the sagittal plane is exactly in the middle, dividing the body along its midline into equal left and right halves, we call that plane a MIDSAGITTAL plane. If instead the plane is off to one side or another, splitting the body into unequal pieces, it’s simply called a SAGITTAL plan. If you saw a person into front and back pieces, you are cutting along a FRONTAL plane or CORONAL plane. Again, seeing this visually is a good idea. 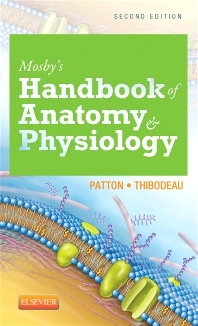 First, study the images of body planes in your A&P textbook and lab manual. If you are using one of my textbooks or manuals , you can find a handy diagram of the planes of the body just inside the front or back cover. By looking at many different diagrams, you'll get a better understanding of the essential concept of body planes . . . as well as plenty of practice. Try constructing a three-dimensional "paper doll" model that resembles the diagram shown here. Or any kind of simple, hands-on model. Such activities may seem like a childish project, but it engages many parts of your brain and thus strengthens your learning . . . and your memory. You may find this FREE mini-course to be helpful. It's called simply Anatomical Directions and it's provided as a free service from Insight Medical Academy. It requires a free registration to use the course, so be sure to register before trying to access the course. Here's a brief video explaining how the free course works. Thanks for the Blog, very helpful!